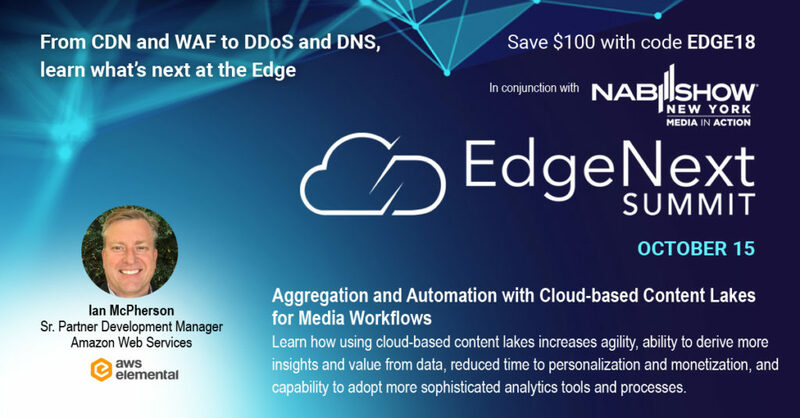 As media organizations collect and analyze increasing amounts of data about their viewers and subscribers, traditional on-premises solutions for data storage, data management, and analytics can no longer keep pace. At the EdgeNext Summit, taking place Monday October 15th in NYC, Ian McPherson, Sr. Partner Development Manager at Amazon Web Services, will show how using cloud-based content lakes increases agility, ability to derive more insights and value from data, reduced time to personalization and monetization, and capability to adopt more sophisticated analytics tools and processes as needs evolve.